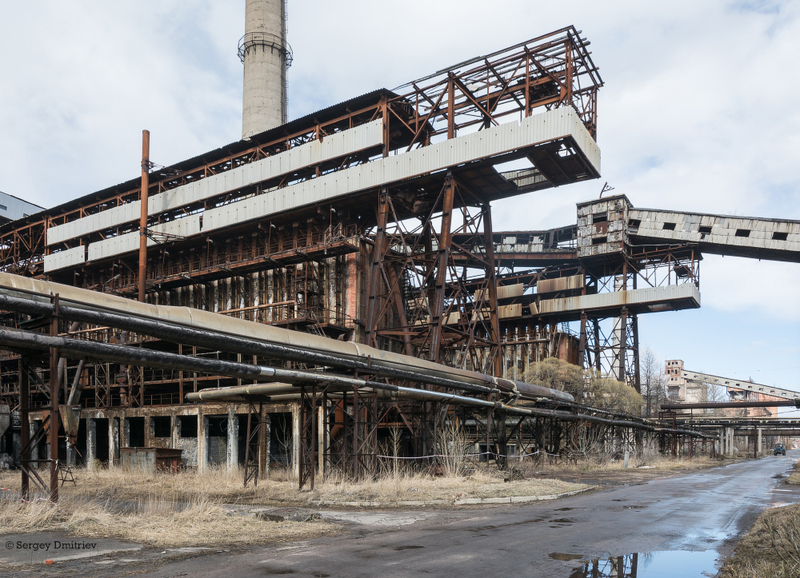 Abandoned coke and chemical plant at Slantsy town (Saint-Peterburg region, close to Estonian frontier). When the plant was active, the production cycle consisted of two main parts which were completely independent from each other. These coke batteries were used for heating up the petroleum coke in order to drain some volatile chemicals (which were, to my knowledge, further used for bitumen production) and refine the coke itself. Besides this coke plant, there used to be also city gas production based on burning oil shales at some gas generators.